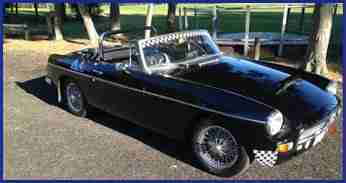 Pete’s MGB club car, stage 2 motor & over 104 HP at the rear wheels. 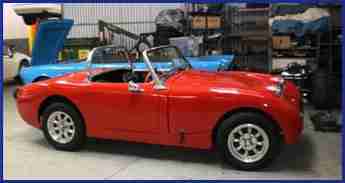 Mark’s superb MGA 1600 mark 2 regularly serviced in our shop. 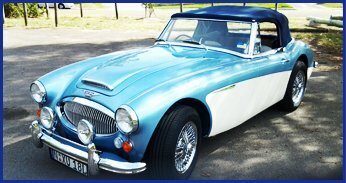 Jeremy’s Austin Healey BN2. We have just rebuilt the gearbox & recently done some head work. 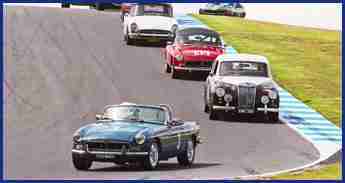 Formally raced in the UK, this car is very successfully campaigned by Laurie Sellers. He has had substantial work carried out at our shop. 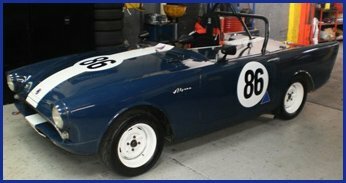 Three MX5’s raced by our customers. 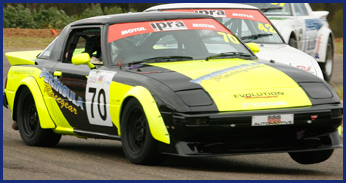 All ex MX5 racing cars that have benefited from our TLC & enhancements. 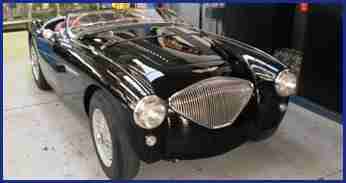 Ultra reliable, economic midfield cars.We can build one for you at a very reasonable price. 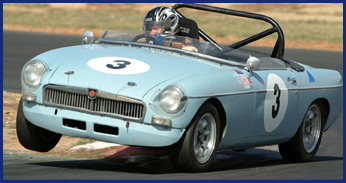 Our old MGB group Sb racecar. 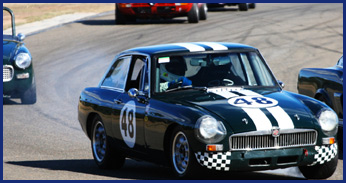 Probably the most successful historic MGB racecar in Australia. From 2002 to 2007as raced by Brett Morse. Used to run with the Porsches. 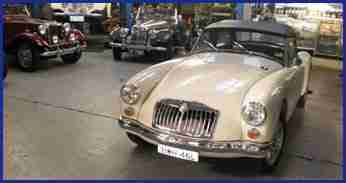 This car was our development vehicle for all the MG,s we fettle. 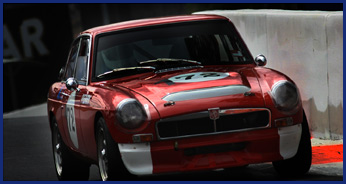 Ideas researched & developed in motor, transmission & suspension were carried on to our customer’s race & road cars. As raced by Steve Perry & his sons. Prepared & developed in our shop. 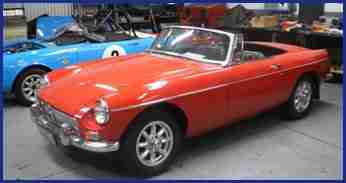 Recent motor rebuild with improvements, gearbox rebuilt with close ratio gear set. Coilover front suspension . Vented front discs with 4 pot calipers. Rear disc brake conversion. All these mods carried out in house. 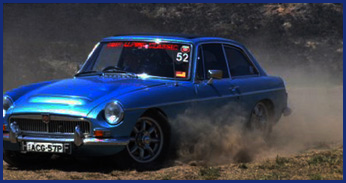 Henry Stratton’s beautiful blue classic rally C Gt, also used regularly in historic regularity events. 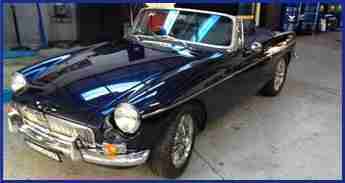 Another car that benefits from our tlc. 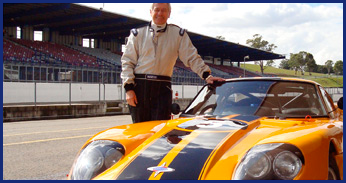 Peter Whitten’s very fast GT historic Group S race car Highly successful & extremely well driven by Pete at all NSW historic events & FOSC meetings. 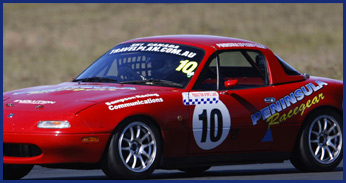 Pete has performed well at interstate circuits also. 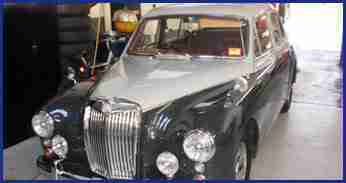 This car features many ideas from our blue B. All work is carried out in our shop, one to watch on the track! 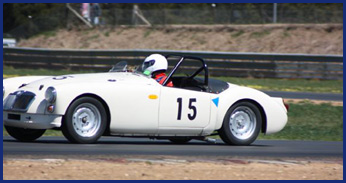 Richard Roses group Sa car, another car that has benefited from our ongoing development, A beautiful looking car regularly campaigned at historic events by Richard. 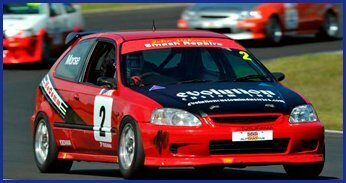 Features motor 7 gearbox built by us to the highest standard, another ultra reliable PSCS race car.